Highlanes Gallery, an exciting new state-of-the-art facility aims to be one of Ireland’s most important visual art spaces presenting a dynamic and diverse programme of temporary exhibitions and exhibitions drawn from the Drogheda Municipal Art Collection. 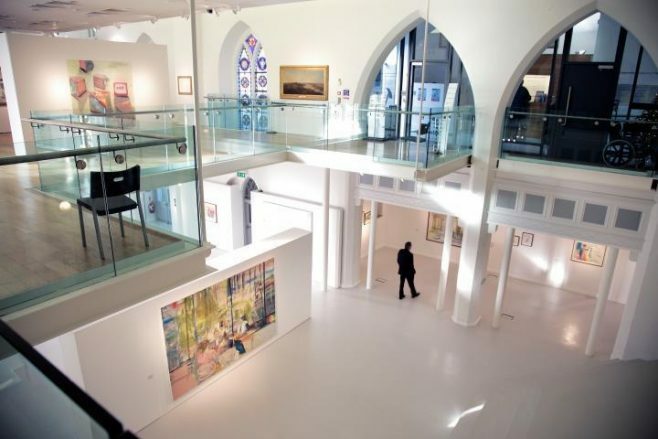 Highlanes Gallery, has onsite partners of Louth Craftmark and Andersons at Highlanes Gallery. Louth Craftmark is one of the most progressive and ambitious craft, applied art and design clusters in Ireland. Andersons at Highlanes Gallery is a continental style café providing a unique food experience in a relaxing ambience and strives for quality, innovation, style and tradition with particular emphasis on customer service.